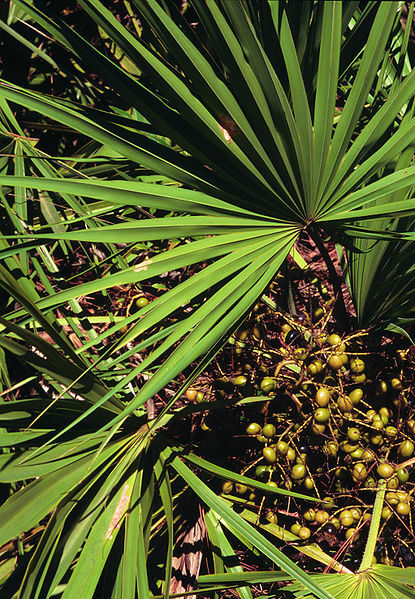 By 1926, Saw Palmetto was listed in the United States Dispensatory as a treatment for prostate issues, increasing sperm counts, and increasing libido. Currently, Saw Palmetto is one of the most widely used herbal preparations for treatment of BHP (benign prostatic hyperplasia). There is conflicting evidence for efficacy of the herb: some studies have shown a statistically significant reduction in symptoms (with less side effects than the prescribed pharmaceutical drugs), others show the same outcome as the placebo control. Still, Saw Palmetto is one of the top selling herbal supplements in the ever increasing retail demographic of alternative medicine, so it seems people are willing to forgo the claims of insufficient evidence for a relatively benign treatment option.